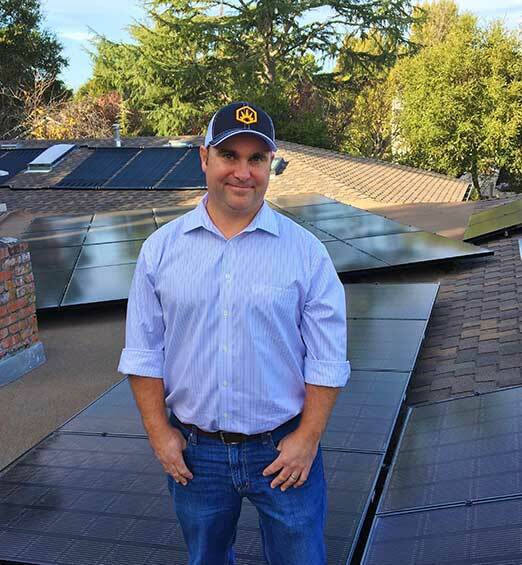 With over a decade of experience in construction and renewable energy, Steve Pariani founded Solar Pro to bring our clients high-end, environmentally-friendly energy solutions at the best available prices. Large solar companies are known to tell potential solar adopters that their roofs are too difficult or that they can offset only a small portion of their electric usage with renewable energy. Far too often, it is because these companies’ profits are tied to quick and easy energy solutions that don’t allow time for customized designs and craftsmanship. Ask yourself, “What are my priorities in going solar?” Depending on the type of property you own, your wants and needs can vary widely. Do you want to offset 100% of the electric usage at your home or do you need to shave peak charges on an expensive commercial utility bill? Maybe you want to generate a new revenue stream at a multi-unit residence by selling solar power to your tenants? Is keeping the cost at its absolute lowest the most important to you or are aesthetics and maintaining curb appeal at the top of your list? Solar Pro prides itself on going the extra mile to offer energy solutions that are tailored just for you. The personal customer experience Solar Pro provides is thus unique to each and every project. We believe there is no such thing as a one-size-fits-all solar system and while other companies might use an easy cookie-cutter approach to generate more revenue, Solar Pro’s design and development efforts generate customized energy solutions to fit your specific needs and budget. If you live around the San Francisco Bay Area and are interested in a career in solar sales, design or installation, please feel free to introduce yourself.